Welcome to our latest Fund Focus Newsletter. As always, if you have any suggestions or feedback, please contact us. We welcome involvement from our member firms in developing ideas and content on key funds industry topics for our newsletters. 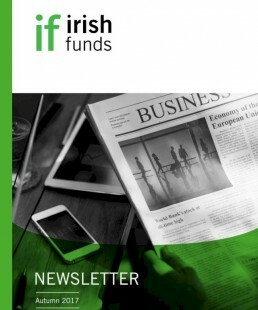 If you are interested in contributing an article or idea, please contact us at newsletter@irishfunds.ie. Des Fullam, Carne Group, outlines post-Brexit options for UK investment managers operating European funds on the basis of a passport. Peter Stapleton and Aaron Mulcahy, Maples and Calder, give an overview of the Investment Limited Partnership (ILP) and a brief updated on the current status of ILP legislation in Ireland. 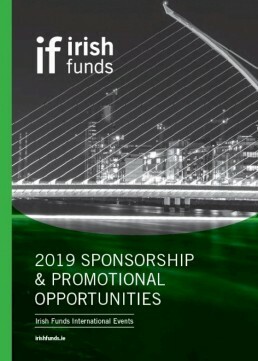 Find out about Irish Funds upcoming events, including the annual conference in May, and sponsorship and promotional opportunities for 2018. Kevin Murphy, Arthur Cox, discusses the implementation of MMF Regulations, in particular new MMFs products, the transition period, The ESMA consultation and the conversion process for existing MMFs. Robert Malone and Paul Heffernan, HSBC Securities Services ETF Innovation Team, look at what's next for ETFs and the opportunities for smart beta and active ETFs. Glenn Reynolds and Philip Murphy, KPMG Ireland, raise the potential tax impacts of MiFID II changes on existing and new business models and practices which may arise following its implementation. Kieran Daly, EY, examines some potential solutions to maintain the competitiveness of index funds in Europe in light of a variety of regulatory, tax and accounting developments. Learn more about recent activities at Irish Funds and the latest membership figures.